A mother died from her injuries a day after a car crash that also killed her five-year-old son, police said. 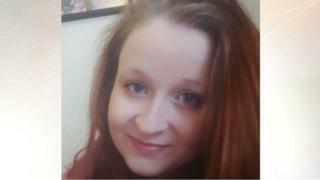 Rebecca Smith, 24, from Stoke-on-Trent, was driving a BMW on Uttoxeter Road in Draycott in the Moors, Staffordshire, when it crashed with a van on Thursday. Her son, named by police as Corey Rhodes, died in hospital later that day. Ms Smith died on Friday. A six-year-old boy travelling with them is in a stable condition, Staffordshire Police added. He suffered multiple injuries and was taken by air ambulance to hospital, where he remains. The van driver was treated in hospital for minor injuries. Police are appealing for witnesses to the crash, which happened between the Blythe Bridge roundabout and Draycott Old Road, near the junction with Stuart Avenue.